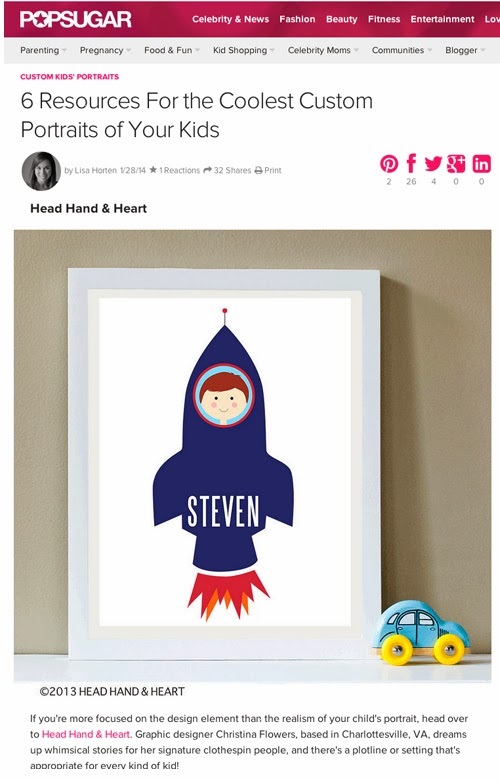 Head Hand & Heart has been featured on PopSugar. WOW!! Thanks so much to Lisa for including my portraits in her collection of "6 Resources For the Coolest Custom Portraits of Your Kids" I am thrilled to be included. You can check out the blog and article here.